When you buy a product from online retailer Novica.com, you're not only getting a beautiful work of art (I can vouch for their craftsmanship and design -- check out the beautiful necklace from NOVICA they sent me last year!). You're also helping skilled artisans from third-world countries. 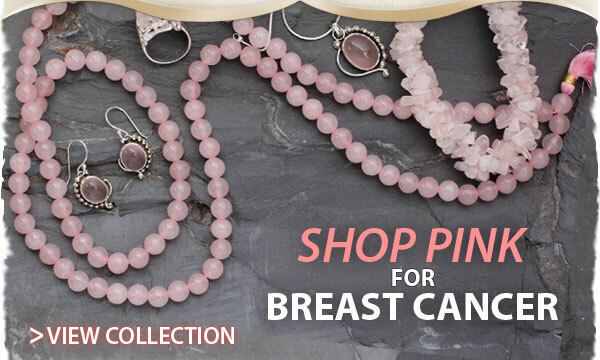 This month, there's an added bonus -- 10% of October sales from Novica's Pink Ribbon Collection will be donated to the Breast Cancer Research Foundation. I'm loving the hand-woven cotton scarf from Central America and the sweet pink cotton blouse from Thailand, but I'd take practically anything from that collection. Shopping for cute stuff never felt so good. Disclosure: I did not review this product. I did not receive samples or compensation for this post. The views and opinions expressed here are my own.